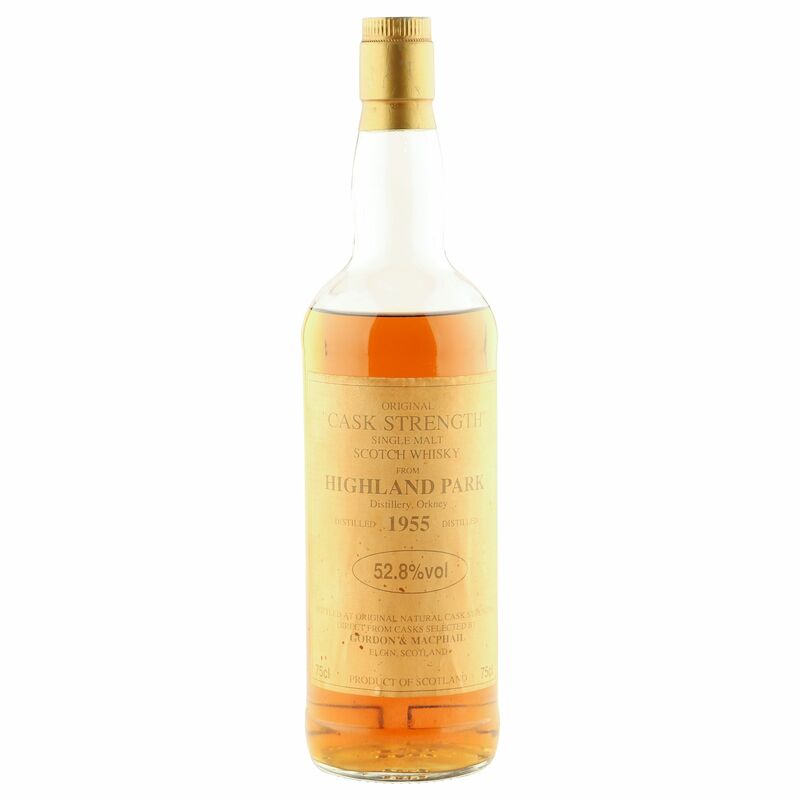 This legendary high strength single malt was laid to sleep at the Highland Park distillery in 1955 and bottled by Gordon & MacPhail, under their Original Cask Strength label, in the 1980's. Yielded at a natural strength 52.8% ABV, this Orkney Isle malt scored a stupendous 94 points on the hit critic site WhiskyFun. Sure, the label is discoloured and showing signs of age, whilst the fill level is mid-shoulder, but this kind of malt is what the word spectacular was invented for.